New Zealand has always boasted a per capita rock band ingenuity few countries can rival. Instead of the usual departure points (Beatles, Stones, Beach Boys), paragons of the NZ scene lifted off from the next generation. 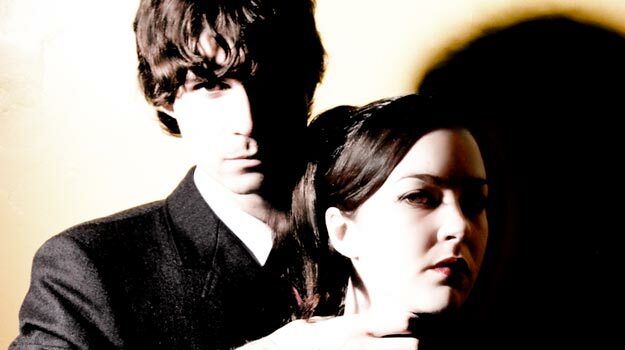 The Velvets, Modern Lovers and Television inspired these musicians. All living together in one small corner of the world, over the past 30 years they’ve gone on to create some of the greatest music to be heard. Enter: The Brunettes. The Brunettes are a revelation simply by doing everything right. A sincere love of rock’s history of emotional directness tremors through every measure, and their male-female vocals, chugging guitars, playful keyboards, and glorious harmonies manage to combine numerous elements into simple, straightforward, actual songs. The charismatic fun of a tune pulls you in, while below the bubbly surface song innovations reveal themselves more with every listen. 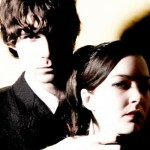 Having met when their bands played together, Jonathan Bree & Heather Mansfield joined up-for a short time romantically. It was kismet, and they set about playing out & making records. Their first show outside of NZ, a trip to London in support of 2004’s Mars Loves Venus, saw them opening for The Postal Service, and caught the attention of Sub Pop poobah, Jonathan Poneman. The Shins signed on as fans, and both bands toured NZ and the US. What did everyone see that won them over? With a shifting roster of touring musicians, The Brunettes’ performances are nothing short of creative explosions. Instead of emulating studio versions, the band tackles songs anew, adding instruments, with band members feverishly dropping one to pick up another to play. What they do live is all intuitive and Mansfield beams, “We’ll go through a lot of effort to make it sonically and visually interesting,”. After a few years of touring, we get Structure and Cosmetics, recorded piecemeal in Portland (where The Shins kindly lent them guitars and amplifiers), New York, and their hometown Auckland. The Brunettes are the 87,746th band to prove that rock music is great. That doesn’t make them any less exciting. All you need to do is listen.